There are a number of different ways your hair can become damaged. 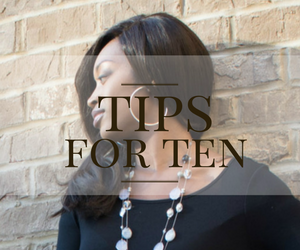 One of the main purposes of this blog is to educate women on how to not only take care of their hair but also on how to prevent damage. I do not want you to only look for help with your hair when you are in trouble. 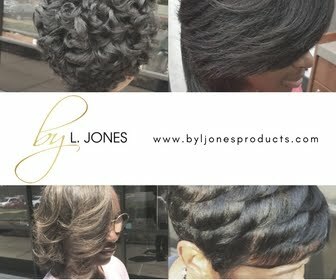 My goal is to get you to think of ways to avoid damage to keep your hair healthy. However, I know that many of you are already in trouble when it comes to your hair but do not get discouraged, I am here to help! 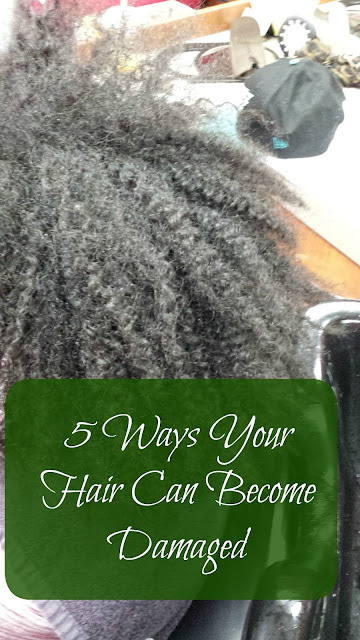 Today I would like to share with you five ways that your hair can become damaged. I can not say this enough. As a matter of fact, I wish I could scream it loud enough for every woman to hear! Putting heat on the hair too much from flat ironing and curling it more than once per week can and will damage your hair. I had one client who literally flat ironed her hair every single day and said she did not know this was wrong. Yet her hair was clearly broken off and she still failed to put two and two together. My professional opinion is that you only put heat on your hair once per week or less. This includes "touching up" one or two areas that may have come out of your silk scarf! For those areas try rollers instead to get the curl you need. 2. 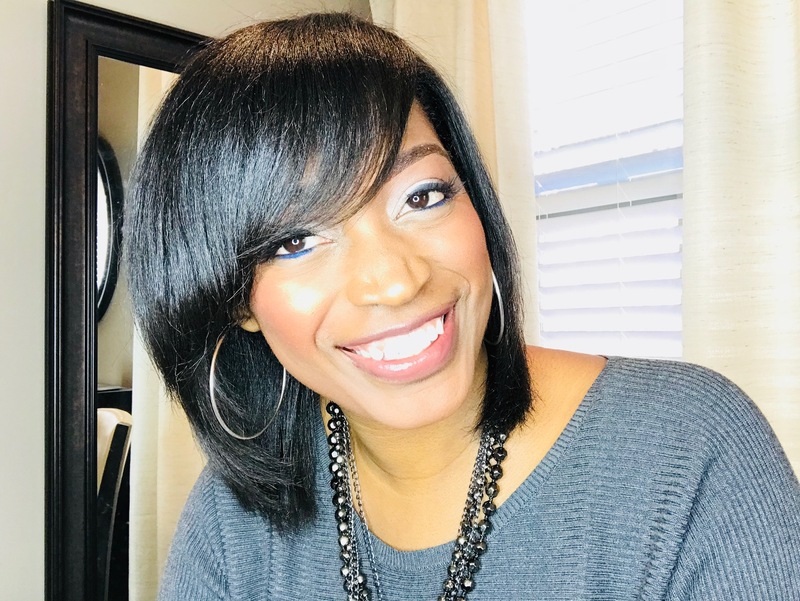 Avoiding trims- I know, I know, I know, you hate the "t" word (trim) and the "c" word (cut) but listen ladies, this is required for healthy hair! 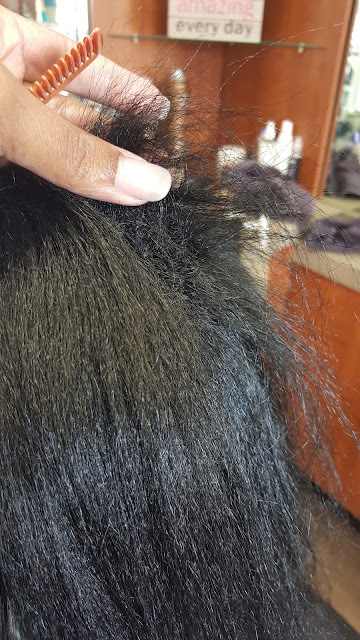 If you do not get your hair trimmed on a regular basis your ends will continue to split up the hair shaft which means that when you finally do get one you will need more cut later. Yes the split ends make your hair appear longer but they also make them look uneven, broken, and thin. Never sacrifice having long hair for having healthy hair. Yes I know you want both but if you make healthy hair your goal, the length is sure to come. 3. Mixing chemicals- I always tell my clients to pick which chemical they want more, the relaxer or color. Having both is a recipe for disaster. It is hard enough to have one and majority of people are not going to do what needs to be done to keep your hair healthy with both chemicals. So ask yourself which one do you want more, straight hair or colored hair? 4. 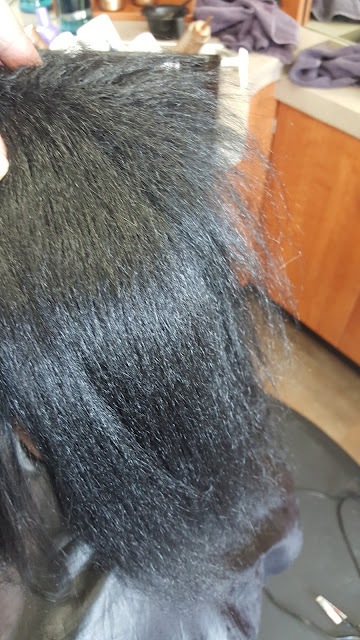 Getting relaxers too often- Speaking of chemicals, you should not, I repeat NOT, getting your relaxer every 6-8 weeks! Wait until you have at least two inches of new growth before getting your relaxers. It takes the average person about four months to grow two inches of new growth. Yes you read that right, stretch your relaxers out to about every four months or more. 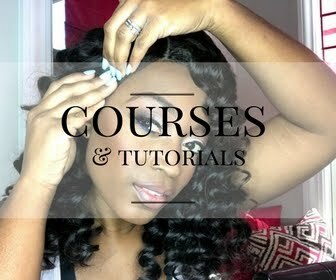 (Trust me, this works wonders for your relaxed hair). 5. 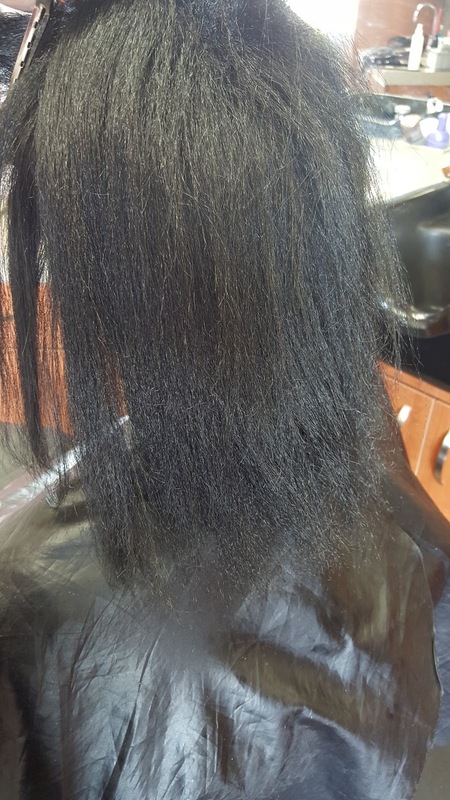 Having the heating tools up too high- If you have relaxed hair, you should not have your flat irons or curling irons cut up to the max temperature. You should be able to flat iron your hair on 375-400 degrees. Remember your relaxed hair is permanently straight so it does not take much to straighten it more. Even natural hair should not be getting the max heat unless the hair is extremely coarse and thick. These are the top five ways your hair can become damaged. If your hair is already damaged see which item on the list you are guilty of doing and stop! If your hair is healthy, keep this list in the back of your mind to keep it that way!